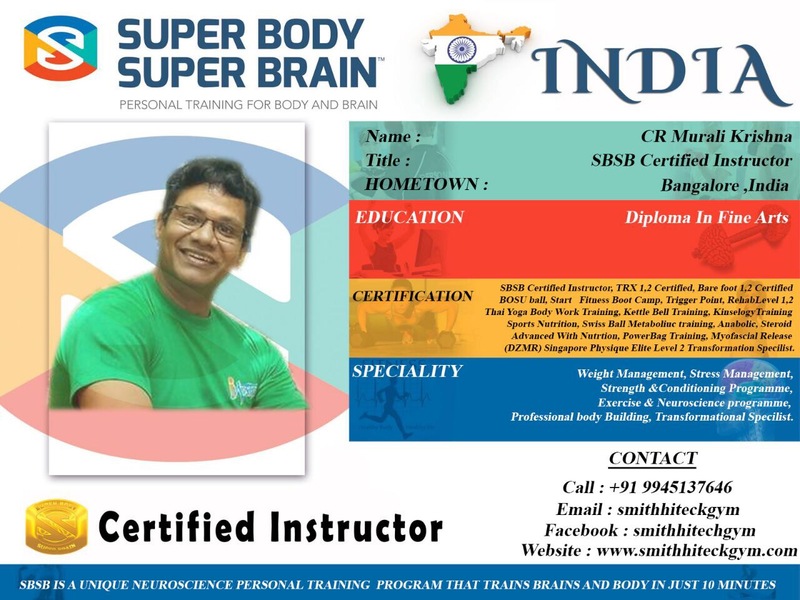 SBSB Certified Trainer Feature from India 🇮🇳 i remember when I was sitting down with Murali Krishna having lunch In Bangalore, India with Arun and Devimeena after the SBSB HIIT Protocol. He told me he was really enjoying this SBSB certification course cause he believed in getting to know more about the Brain and its application to different populations. As you can see in his resume and his vast certification credentials he is really experienced to help you achieve your goals.